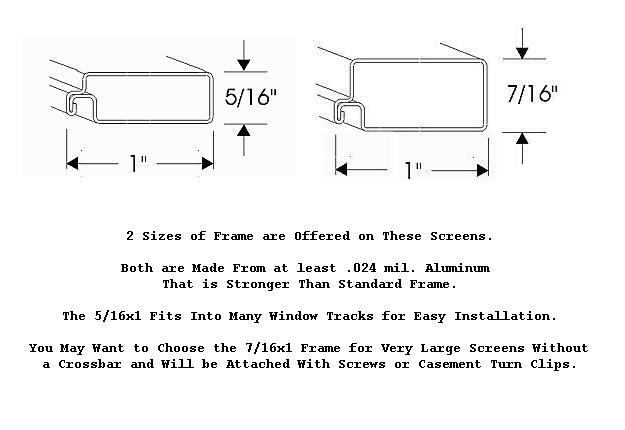 Custom Fiberglass Porch & Patio Screens Made to Your Custom Sizes. 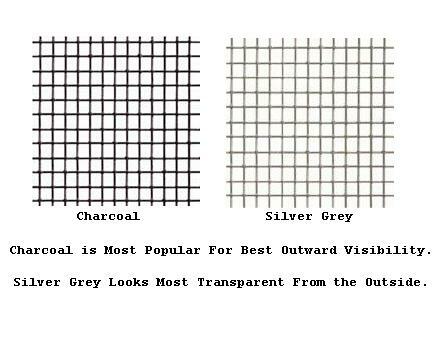 Fiberglass porch & patio screen panel screens are the least expensive insect screen. 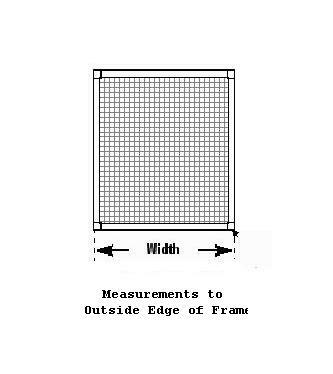 Fiberglass patio screen panels are generally used on patios, porches, decks, and gazebos. Fiberglass screening material is great in high traffic homes with pets and children, because the fiberglass mesh is very forgiving. The fiberglass material will spring back to shape when pushed on unlike aluminum screening material which may dent or break. Fiberglass patio screening materials do a great job of keeping out standard insects like house flies, mosquitoes, grasshoppers and spiders. It is an affordable way to screen your outdoor area to keep out most insects. Our customers like the fiberglass screening panels because they are very forgiving and they are an economical way to screen in their outdoor enclosures. They only real negative to fiberglass porch and patio screen panels is it typically lasts around 10 to 12 years before the screening needs to be replaced. Aluminum panels will last closer to 30 years. In areas where you have grasshoppers that like to eat fabric materials the aluminum patio screen panels are a better choice. 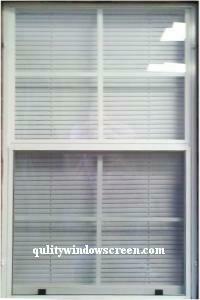 Click here for Aluminum Patio Screen Panels. Our custom fiberglass patio & porch screen panels are made with heavier duty 5/16 thick x 1 inch (.024 ga.) aluminum frame and fiberglass standard (18x16) mesh, Pool & Patio (18/14), No-See-Um (20x20), Ultravue, and Nano 50 (17x14 - like Super Screen) material in larger sizes. They have internal mitered corners. 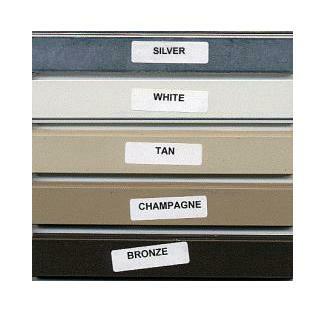 Our five frame color choices are white, bronze, silver, tan and champagne. We also have a selection of attachment hardware to suit your screen build needs. Order custom fiberglass patio & porch screen panels today! 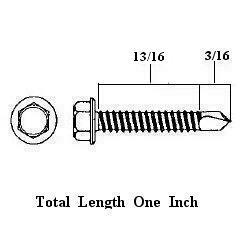 Width Inches Select 10 11 12 13 14 15 16 17 18 19 20 21 22 23 24 25 26 27 28 29 30 31 (+$0.40) 32 (+$0.80) 33 (+$1.20) 34 (+$1.60) 35 (+$2.00) 36 (+$2.40) 37 (+$2.80) 38 (+$3.20) 39 (+$3.60) 40 (+$4.00) 41 (+$4.40) 42 (+$4.80) 43 (+$5.20) 44 (+$5.60) 45 (+$6.00) 46 (+$6.40) 47 (+$6.80) 48 (+$7.20) 49 (+$7.60) 50 (+$8.00) 51 (+$8.40) 52 (+$8.80) 53 (+$9.20) 54 (+$9.60) 55 (+$10.00) 56 (+$10.40) 57 (+$10.60) 58 (+$11.00) 59 (+$11.40) 60 (+$11.80) Help? 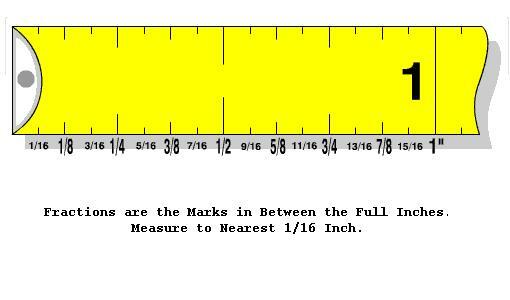 Height Inches Select 10 11 12 13 14 15 16 17 18 19 20 21 22 23 24 25 26 27 28 29 30 31 (+$0.40) 32 (+$0.80) 33 (+$1.20) 34 (+$1.60) 35 (+$2.00) 36 (+$2.40) 37 (+$2.80) 38 (+$3.20) 39 (+$3.60) 40 (+$4.00) 41 (+$4.40) 42 (+$4.80) 43 (+$5.20) 44 (+$5.60) 45 (+$6.00) 46 (+$6.40) 47 (+$6.80) 48 (+$7.20) 49 (+$7.60) 50 (+$8.00) 51 (+$8.40) 52 (+$8.80) 53 (+$9.20) 54 (+$9.60) 55 (+$10.00) 56 (+$10.40) 57 (+$10.80) 58 (+$11.20) 59 (+$11.60) 60 (+$12.00) 61 (+$12.40) 62 (+$12.80) 63 (+$13.20) 64 (+$13.60) 65 (+$14.00) 66 (+$14.40) 67 (+$14.80) 68 (+$15.20) 69 (+$15.60) 70 (+$16.00) 71 (+$16.40) 72 (+$16.80) 73 (+$17.20) 74 (+$17.60) 75 (+$18.00) 76 (+$18.40) 77 (+$18.80) 78 (+$19.20) 79 (+$19.60) 80 (+$20.00) 81 (+$20.40) 82 (+$20.80) 83 (+$21.20) 84 (+$21.60) 85 (+$22.00) 86 (+$22.40) 87 (+$22.80) 88 (+$23.20) 89 (+$23.60) 90 (+$24.00) 91 (+$24.40) 92 (+$24.80) 93 (+$25.20) 94 (+$25.60) 95 (+$26.00) 96 (+$26.40) Help? Screen was as ordered, well made, well packaged. Immediately placed another order to replace additional screens. Advantages: Custom sized in colors required by HOA. I ordered 8 screen panels of varying sizes. 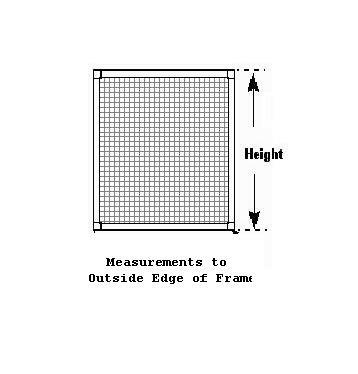 Screen frame dimensions were exactly as specified; so they fit perfectly. excellent quality, good price, great service. Excellent service!! Shipping and packaging perfect. I replaced my 20 year old porch screens with ones custom made from Quality Screen. They were built exactly to my measurements and fit great. I was especially impressed with the custom made crate that they were shipped in as the screens were very large in size. I also spoke to a representative about the online order and she was quite helpful. Overall, a very positive experience. When you make any screens with the aluminum frames that are taller than 48", I would suggest that you put a "stablizer" bar across the center to keep the framework rigid. The 73" frames that I got would not stay in place. The wind would blow on the screens, and they would come together in the center and pull the thumb pulls out of the holes. I corrected the problem with an additional brace across the center. I was impressed with how smooth ordering and delivery was! Sizes were perfect my customer was extremely satisfied! We will do business again! Advantages: Fast and accurate sizes! Disadvantages: Shipping was expensive but no damage! I purchased the screen door kit and I am very happy with this product. I will shop with this company for all my screening needs. I customized the door by manufacturing a dog door into it that is working great.